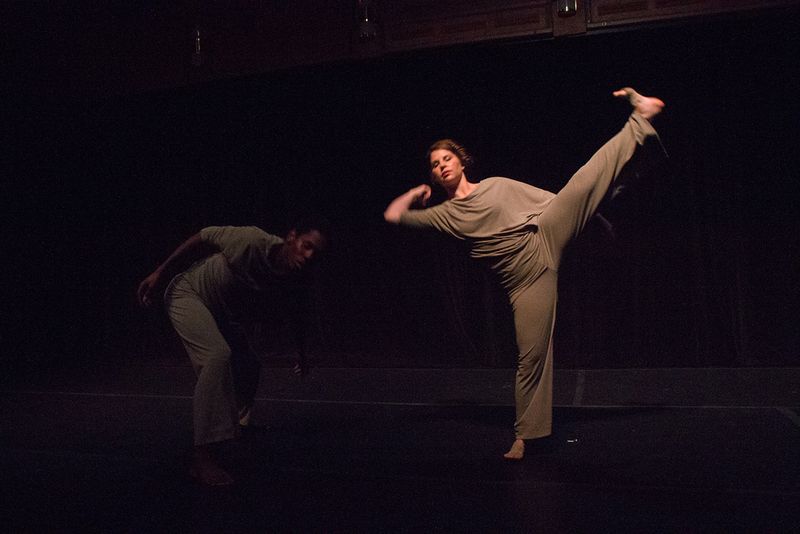 Ashley Suttlar Martin is an independent artist and educator with a MFA in Dance from Temple University and a BFA in Dance Performance and Choreography from Virginia Commonwealth University. She danced professionally for companies based in Philadelphia and New York City. Martin’s creative works have been acclaimed and presented nationwide. She is director of 4thrightdance, designer of Embellish handcrafted accessories and founding co-producer of FRESH, a touring performance series. Martin developed the dance minor curriculum at Morehead State University (KY), was guest faculty at QCC - City University of New York, has served on faculty at Central Piedmont Community College (NC), Coker College (SC), Winthrop University (SC) and the Governor's School of Arts & Humanities (SC). She has also worked in arts-integration programs as a Teaching Artist for various school systems and outreach organizations. Martin’s passion led her to exploring many avenues as an artist, educator, administrator and advocate. Shewas a corporate representative for a dancewear retailer, has obtained dance fitness teaching credentials and recently, earned certification as an Instructor of the Umfundalai Contemporary African Dance Technique. Currently, Martin teaches dance to all ages; from preschool, to college level, and beyond for various organizations and colleges in the Carolinas. Taurus Broadhurst Dance (TB/D) is an innovative contemporary dance company, rooted in African diasporic culture. Grounded in traditional West African dance, the company also uses movement from modern dance, house, hip hop, and other urban styles to convey contemporary stories and embody the griot tradition through movement. The company focuses on telling the stories of people from diverse experiences to help audiences understand the human condition. Valerie Ifill is a dance educator and researcher focused on the intersections of dance and the community. She approaches this work by leading process-based self-reflective workshops, researching neighborhoods to develop community dance programs/workshops, and creating interdisciplinary and site-specific performances for non-traditional dance audiences. Ifill earned her Master of Fine Arts degree in Dance from the University of Oregon, completed the Independent Study Program at The Alvin Ailey American Dance Theater, and earned her Bachelor of Business Administration degree with a Dance minor from Kent State University. Dache' Green - 4thrightdancer (SC) earned a bachelors degree in Dance at Coker College. Green recived formal training in Dance and Stage Combat from Lees-McRae College and has trained with notable choreographers throughout the country. He has been performing 4thrightdance repertory since 2011. Currently, he works as an independent artist and instructor in Washington, DC and surrounding areas. Devin is from Richmond, VA and holds a MA degree from New York University in Dance Education with an emphasis in ballet pedagogy and a BA from Coker College in Dance. She is certified in the National Training Curriculum through American Ballet Theatre. Her professional career has involved training and performing with the Joffrey Ballet School in NYC, Busch Gardens, and various contemporary companies in NC, SC, and PA.
is a graduate of the University of Georgia with a dual degree in Dance (A.B) and Child and Family Development (B.S.). She also holds a Graduate Certificate in Public Health from UNCC. Alison performed and taught dance with Advocate Arts Contemporary Dance. Since relocating to Charlotte, Alison has danced with 4thrightdance. Alison has choreographed for numerous organizations in Charlotte. In the Fall, she will resume studies at UNCC working towards a Masters in Public Health with the goal of integrating dance and aerial arts into public health focused community outreach. She is also currently completing her Nimble Arts Teacher Training Course in Trapeze Foundation Level. Amy Nelson Smith - 4thrightdancer (SC) graduated from Coker College where she earned a bachelors degree in Dance. Nelson has trained extensively with notable choreographers throughout the country and briefly studied abroad in Paris, France. She has been performing 4thrightdance repertory since 2011 and joined the company's performance season 2013. Currently, Nelson works as the sole dance teacher, developing the dance program for White Knoll Middle School (SC). Katie Polivka - 4thrightdancer (ILM) has a BFA in dance from the University of Colorado at Boulder. She has studied and performed various genres of dance and worked for numerous outreach programs in CO. She started dancing with 4thrightdance in 2013 and is currently working as a Certified CrossFit instructor with the Marine Corp's Semper Fit program at Camp Lejeune. Britney Stevenson - 4thrightdancer (NYC) received formal dance training at Northwest School of the Arts (NC) and earned a BFA in Dance Performance and Choreography from Columbia College (SC). Stevenson's first performance with the company was the 2014 Cool New York Dance Festival. She will attend Graduate School at Tisch University in NYC this August.